Some of my favorite temple pictures. Click any image in the slide show to jump to the gallery. Prints can be purchased from inside the gallery. The above is just some of my favorites. View my entire collection of LDS Temple pictures here. Today I want to do my first ever video log (vlog). A subject that has come up several times recently in different forums and one which I personally wanted to know the answer... 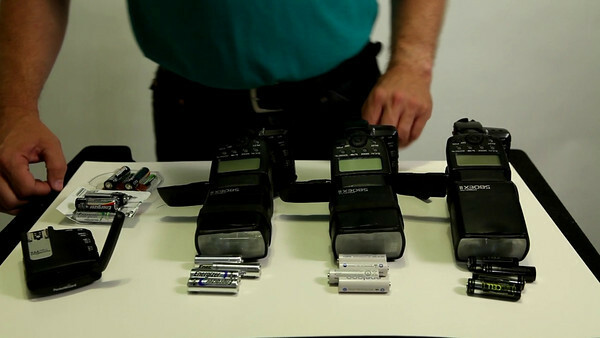 WHICH is the best battery to put into your speedlights? I wanted a scientific answer - without all of the normal geekiness involved (such as pencil and paper and stop watch). And I thought a video log would be a great way to show it. The TruCELL battery is a regular NiMH battery. The other NiMH batteries are a new style. The advantage is that they come pre-charged and they hold a charge longer than regular NiMH batteries. The Ultimate Lithium is the only Lithium battery I tested. And I had to throw a standard Alkaline battery into the mix. The Ultimate Lithium is brand new technology. Energizer is so confident of this battery that it's actually slightly smaller than the rest and weighs less. YOU CAN FEEL the difference! It doesn't feel like the other batteries because of the weight difference. I'm ready to be amazed! Might makes right! I'm totally expecting the TruCELL 2900mAh battery to trounce all the rest of the batteries due to sheer power. The eneloop with the lowest rating will probably come in last with the other batteries appropriately placed according to their power rating. So let's get into the testing! If you haven't watched the videos and don't want to know the ending before seeing how the tests were made ... then stop here and come back. Big shocker! I totally expected the Ultimate Lithium to trump all of them. I was surprised at how poorly it did. It probably lasts much longer than the regular alkaline better, but the recharge rate for the Ultimate Lithium isn't much better than the Alkaline. This is sad news. Because you can't recharge the Ultimate Lithium you have to keep buying replacements. I cannot recommend this battery at all (not for use in flashes by professional photographers) because it would be far more cost effective (and have better recycle times) to use just about any of the alternatives in this test. DO NOT fall for the claims that these new batteries (eneloop, energizer recharge and duracell precharge) are "ready to use" right out of the box. Yes, they worked. But they all worked a LOT better after running them through a recharge cycle. Finally, I highly recommend getting a good charger. I highly recommend the one I use, the Maha 801D which can charge up to 8 cells at a time. The big advantages to this charger: every cell is charged individually according to its needs (so no cell is over charged, a scenario that can quickly ruin a good battery). Plus, the individual LCD display for each battery gives me feedback as to how that battery is doing. I keep all of my batteries in sets. If one battery of a set starts to go (appears not to hold a charge as long as the rest of the batteries in that set), then I toss the entire set and buy a new set (the idea being that the rest of the set may not be far behind and as a professional photographer I have to be able to trust my batteries). This charger does come with different charging cycles as well. The regular cycle is pretty fast (but again, it is safe for each individual cell). It also has a slow charge cycle. And finally it has a refresh / recondition cycle where it will dump each cell individual and then perform a slow charge cycle on each of them. Let me apologize up front for the title of this post, which is a play on the song by the Beatles entitled Stawberry Fields Forever. 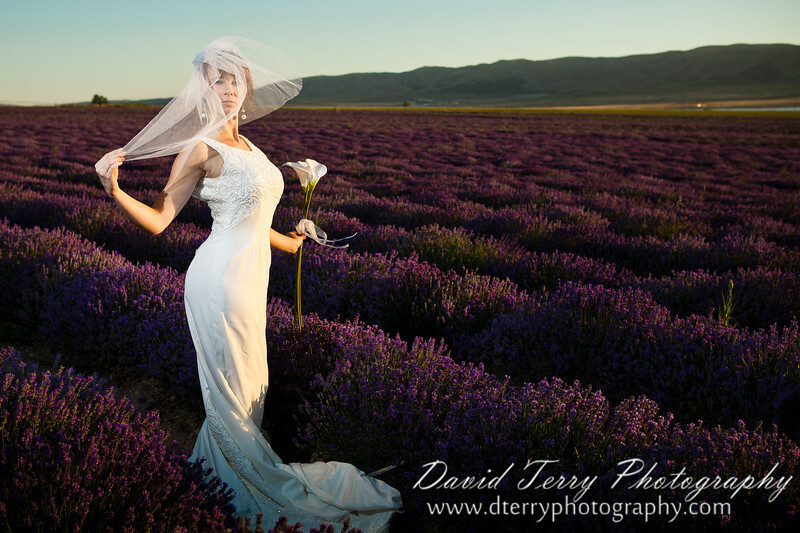 I recently became aware that the lavender plants at the Young Living Lavender Farms in Mona, Utah were in bloom and I wanted to take a trip down there to see what a photo shoot there would be like. And the more I thought about it, the more I got the words Lavender Fields Forever stuck in my mind. But I'm really not a landscape photographer. I'm more of a people photographer. So I couldn't very well just show up and take pictures of the landscape. 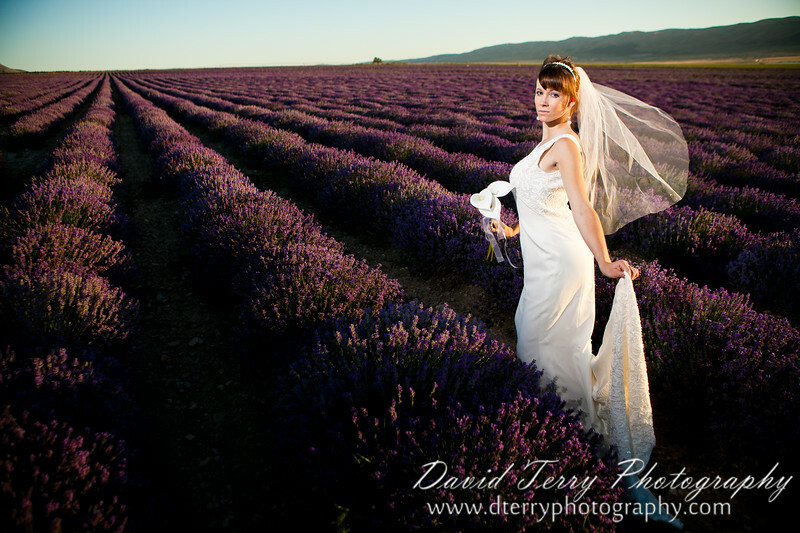 So what would contrast most with a field of lavender? What would stand out and really show up against a sea of purple? Well... a bride dressed in white, of course! But I did not have a bride available right at the moment. 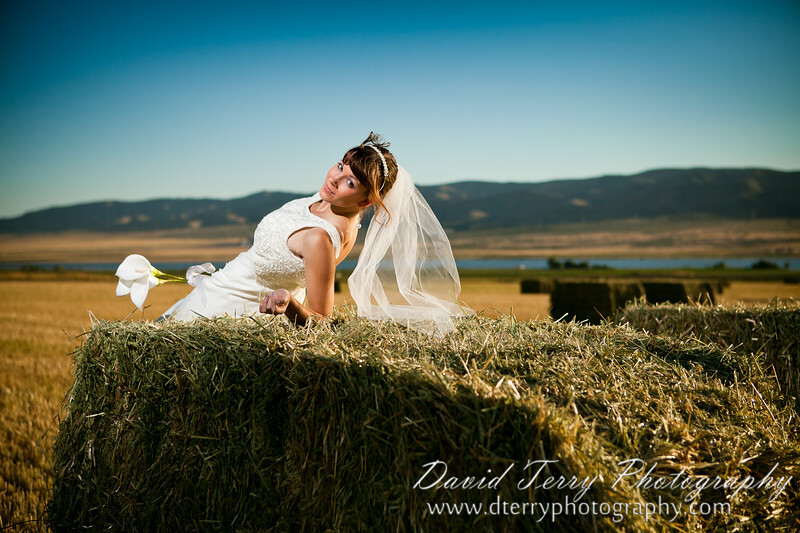 So I put the call out for a model with a wedding dress. Charolett Ann Reynolds jumped in and volunteered. And I asked Pete Hansen to come and help with the lights. We hit the road heading south for Mona, Utah a bit early. 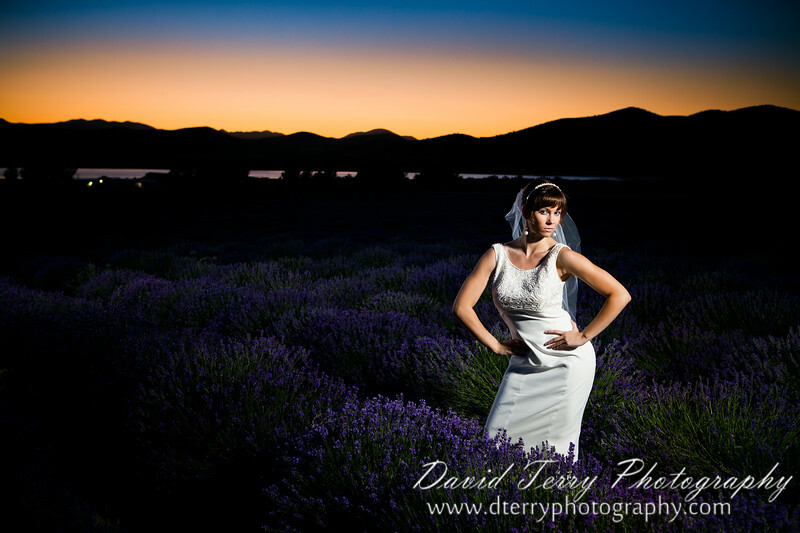 Too early, in fact, for the kind of lighting that I was hoping to get at the lavender farms. And so we decided that we would look for a place to stop along the way where we could do a little shooting ahead of time. 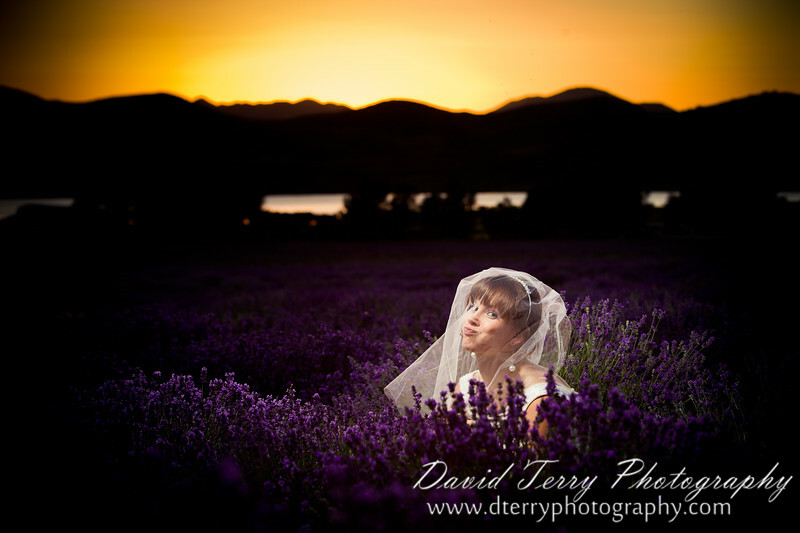 Driving down I-15 we could actually see the lavender farms from the freeway. I could already tell they were going to be beautiful. The purple really stood out as a different type of "scene" from what you normally expect to see driving down the road. We took the Mona exit and as we were driving down the road I saw this beautiful wheat field off to the east. It almost begged for us to stop. So we pulled over at an open gate and walked in. We didn't have to walk far before we were surrounded by wheat. To the east of us stood the Rocky Mountains and we first shot some pictures there with the sun on the Charolett's face (not my usual style of lighting). 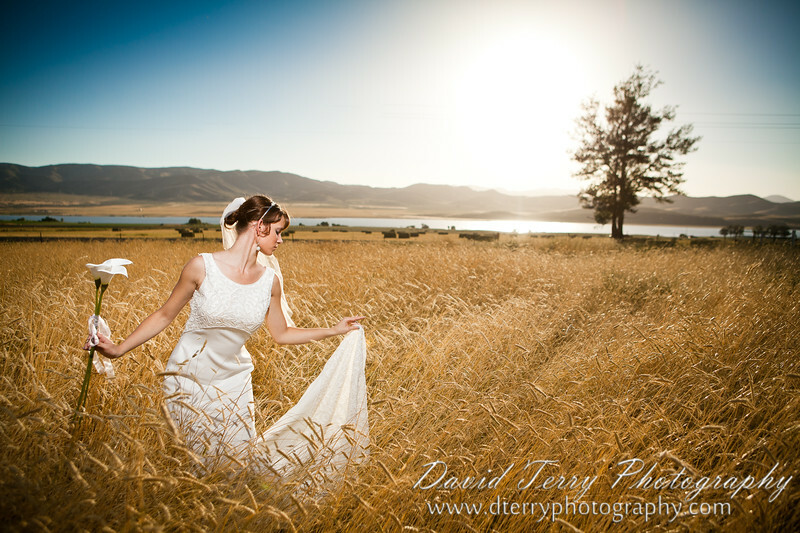 The combination of wheat and mountains looked cool, but her squinting, not so much. Earlier I had talked about "beating the sun" (with the flash) and Pete piped up "Let's beat the sun!". And so we turned her around and put her back to the sun. The sun was directly in the shot to the west, so I tried to balance things in a couple of different ways. My van was off to the right which kind of forced my hand on composition. So I positioned myself and my angle so that the van was just outside the frame. This gave a nice opportunity for a sort of leaning triangle ... with the bride leaning in towards the center (her pose itself another triangle), the sun at the top of the triangle and the tree becoming the right side of the triangle. 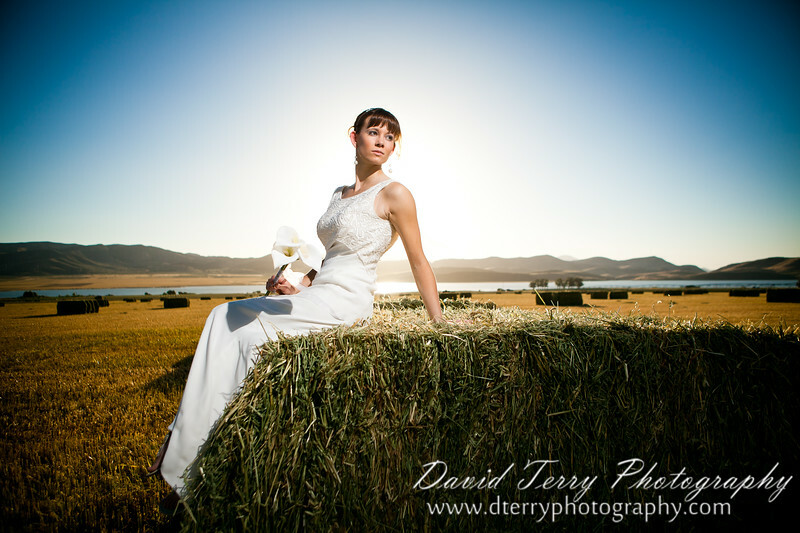 We then lit her up with a Canon 580 EXII flash using a PocketWizard TT5 to fire it remotely. The light on her needed to be balanced against the sunlight so I had to shoot at high speed sync (1/2500 of a sec). 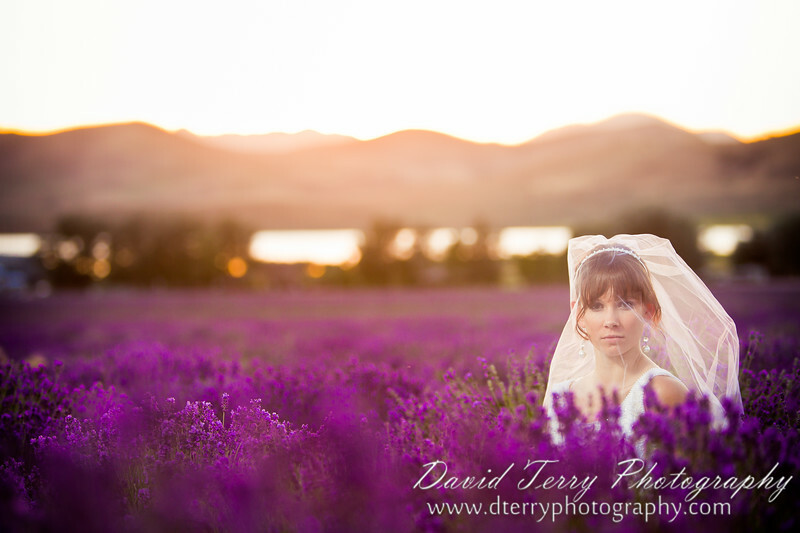 The picture was taken with a Canon 5D Mark II at ISO 100 using a Canon 24-70 f/2.8L lens at f/3.2. 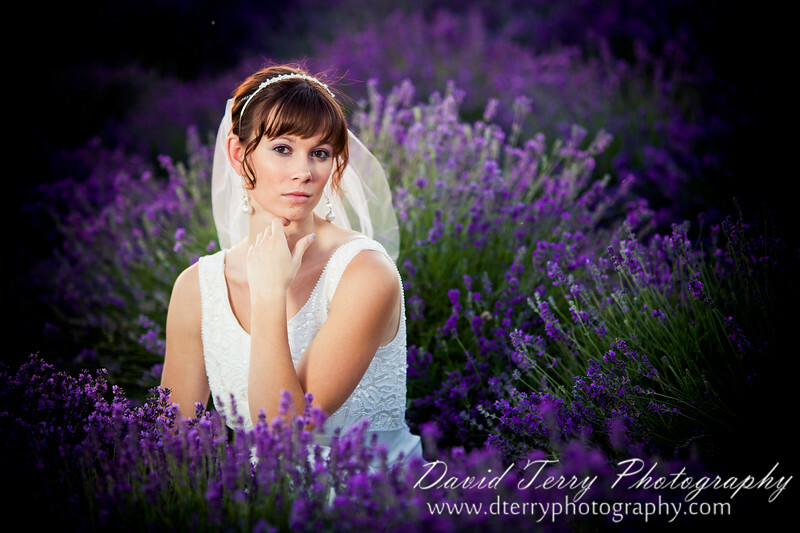 Finally, we got in the van and headed for the main attraction ... the lavender farms. When we arrived, there was already another bride there getting her pictures taken as well as a family session that was going on out to the east. Thanks Pete and Charolett for your help. I had a great time, learned a lot, and we got some great pictures to show for our efforts.